Summer is around the corner. How do I know? Well, the American Shad are in town. 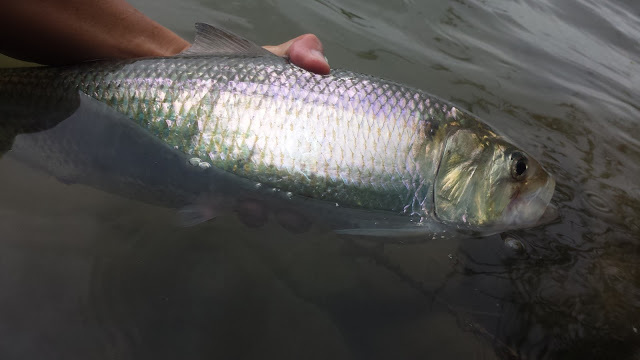 Unlike the coming of the salmon run in the fall, the coming of the American shad run is shrouded in mysticism. 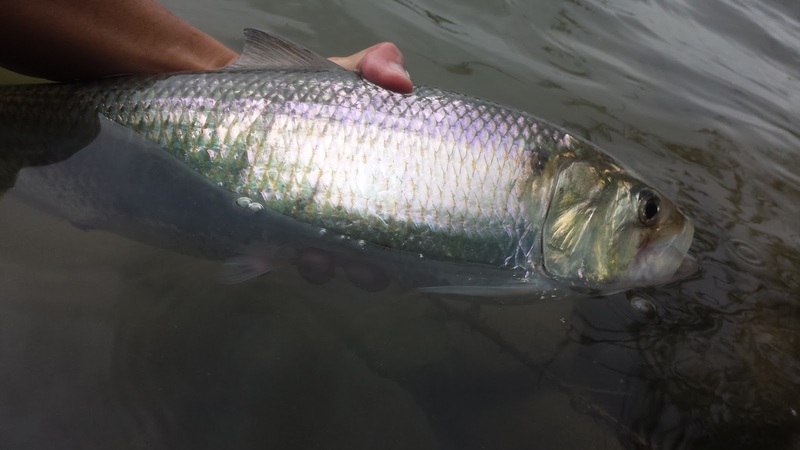 The American shad shares many similarities with California's native steelhead. They both come in chrome, fight hard, taste great, and are fun to target. The biggest difference between the two is that one is easier to eat than the other. The legend of the Micmac Indians tells that porcupine was discontented and asked the Great Spirit of Manitou to change him into something else. The Spirit responded by turning the creature inside out and tossed him into the river where it now had the new existence as a Shad. Filleting an American shad is like trying to perform amateur surgery but if you can get some good meat out of them they taste like an anadromous catfish. 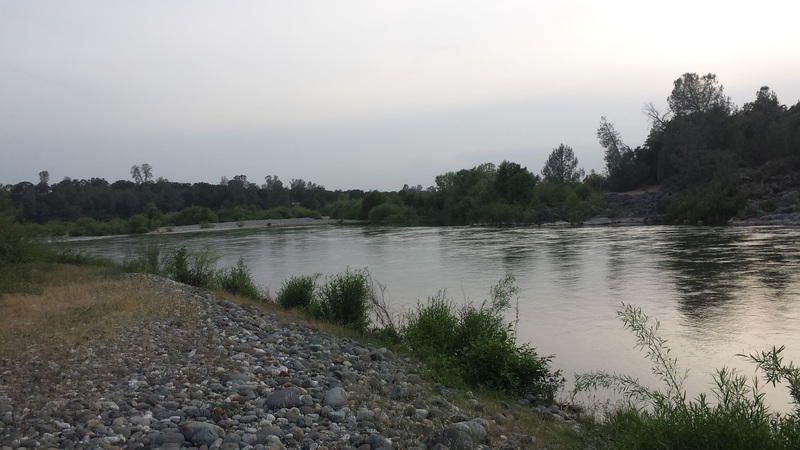 It's no secret that the Feather River's Shanghai Bend is one of the most popular places to fish for shad. The structure of the bend is a great spot for anadramous fish to hold as they make their way upriver. During a quick visit to the bend about a week ago, I saw a few gear anglers hook into some chrome shad. It was great to see the fish there but the water that they were holding in was near impossible to fish on a fly. Would it be possible to find these fish in a more fly rod friendly area? I decided to take a chance this week. Despite rainy and off-color water conditions on this particular day, I was able to hook and land a big strong hen that almost got away. 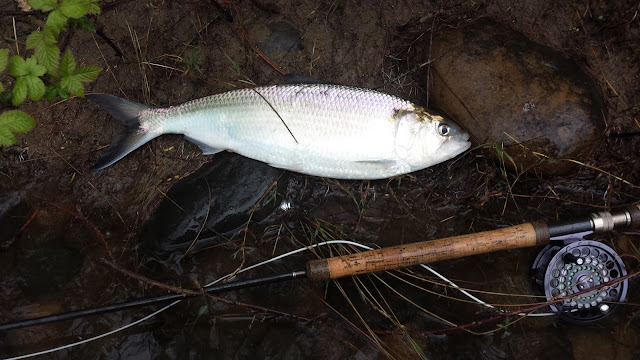 This marks my first shad from the Feather River. Before I moved, the Sacramento River outside of Chico was my shad spot. However now that I am in Yuba City, I have to find new spots to fish for shad. Luckily both the Yuba River and the Feather River hold shad and are only a few minutes away. I will be exploring both rivers to find less pressured spots as the run continues. 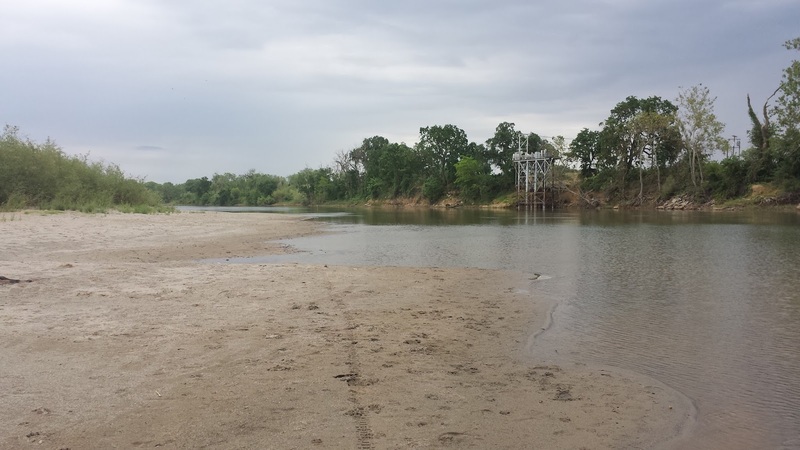 Early in the season is usually when anglers combat fish for shad in the more popular spots. The fish are still trickling in but once they get here it'll be on. These chrome domes will keep my line tight until the flows on the Yuba go down. The Yuba is at 2,700 CFS which is much more fishable than 3,000+ CFS. I was able to find three pissed off and jumpy fish before attempting to catch the evening hatch. In the evening I saw a few fish rise but unfortunately there wasn't enough surface activity to have a enough fish looking up. No fish landed this trip but finding them was the next best thing.